Storing your data on the cloud is a great idea. That way, when your computer dies, you don’t lose everything. It’s especially useful for those of us who work from home, or store work documents on our computers. Unless you live without internet (how are you reading this?? ), storing data in the cloud is highly recommended. There are a wide variety of cloud storage solutions available today. Many of them offer free options or some sort of trial. Today we’ll be examining the difference between Apple’s iCloud Drive and Dropbox. 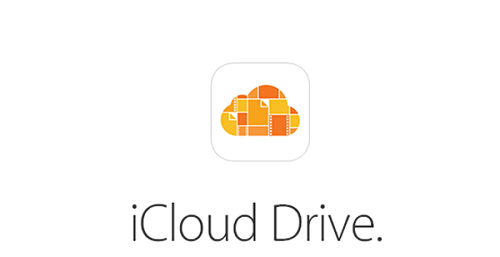 iCloud Drive is Apple’s cloud storage solution. A major improvement on the disaster that was Mobile Me, iCloud was launched on October 12, 2011.
iCloud clocked 20 million users a week after launch. It’s available on Mac, iOS and Windows. Controversy surrounded the migration from Mobile Me to iCloud, resulting in a class action lawsuit in 2012. 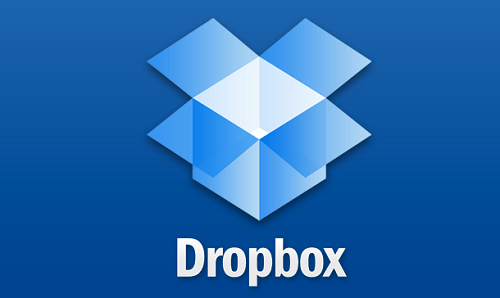 Dropbox was launched in 2008 and surpassed 1 million users in 2010. Exponential growth led to the service clocking 500 million users by March 2016. Dropbox started as a personal project, Drew Houston worked across several desktops and laptops. One of his computers blew a power supply, leading to the loss of a hard drive. The loss of data prompted the discovery that is Dropbox. Storage and pricing differs between these two. Firstly, Dropbox has no free option, while iCloud does. You can store 5GB for free using iCloud drive. That’s a lot of documents. Storing up to 50GB will cost you $0.99 a month, 200GB costs $2.99 and 2TB costs $9.99. Dropbox offers a free thirty-day trial, two set plans and one custom plan. For $12.50, you can get up to 2TB of cloud storage. For $20, you can get unlimited storage. Both plans include up to 3 users. Included in the custom plan is any-time support and extra users. The pricing is unclear, however, and you’re prompted to “contact us” on the Dropbox site. Unless you have insane storage needs, Apple’s iCloud seems to be the more budget-friendly option. If all you are storing is documents, you’ll probably never need more than Apple’s free 5GB option. The flexibility of the iCloud drive is great. If you’re looking to go the unlimited route, however, Dropbox is the option for you. Cloud storage solutions can be confusing if you’re not used to them. That’s why easy use and ease of use is important. Dropbox is more popular for two reasons. It’s better established, and it’s easy to use. But is it easier to use than Apple’s iCloud drive? In truth, they’re about the same. Apple revamped their interface a few years ago. They have a drag and drop interface now that is similar in use to Dropbox. Hence, there’s no verdict on this one. I personally don’t own any apple devices, but I’d image iCloud would be easier to use if you were used to Apple devices. If you don’t own a Mac or iPhone, you can still get iCloud on Windows 7. But it’s not available on the Google Playstore at time of writing. I would have to say, in this department, if you’ve got Apple devices, iCloud is fine. If you don’t, stick to Dropbox. Well, there’s really no comparison in this department. iCloud doesn’t have an app, really. It’s mostly accessed through the use of a browser. Dropbox, on the other hand, has apps available for most platforms. This includes Mac and iOS. The app is very easy to use. In fact, the whole Dropbox system is easy to setup and use throughout. Regular readers may know that I’m no fan of Apple. That being said, Apple has surprised me a lot lately. Their devices destroy others of a similar class in terms of performance. Apple have surprised me again today by being cheaper than Dropbox, as well as offering a free option. The flexibility of the iCloud drive is another major pull-factor for me. While I’m not about to switch, if you use Apple devices then give iCloud a chance. If you don’t, it may not be worth the effort. After all, you only end up saving $30.12 per year on the 2TB option. That’s not going to bring about early retirement. Although if you stick with iCloud’s free option, you could save $150 a year. That’s… not going bring about early retirement, either. Kyle Ferreira. "Difference between iCloud Drive and Dropbox." DifferenceBetween.net. February 6, 2018 < http://www.differencebetween.net/technology/difference-between-icloud-drive-and-dropbox/ >.